Activists from Internet Party of Ukraine perform during rally supporting Snowden, in front of U.S. embassy, in Kiev on June 27, 2013. Venezuelan President Nicolas Maduro said Friday he offered asylum to NSA whistle-blower Edward Snowden, the state-run AVN news agency reported. "As head of state, the government of the Bolivarian Republic of Venezuela decided to offer humanitarian asylum to the young American Edward Snowden so that he can live (without) ... persecution from the empire," Maduro said in a clear reference to the United States. Madeiro made the comments in a speech marking the anniversary of Venezuela's independence. The news came shortly after President Daniel Ortega of Nicaragua and Maduro of Venezuela said Friday they were willing to grant asylum to NSA leaker Edward Snowden, the A.P. reported. "In the name of America's dignity ... I have decided to offer humanitarian asylum to Edward Snowden," Maduro said in speech that was part of a televised military parade for Venezuela's independence day. Snowden, the 30-year-old former National Security Agency contractor at the center of the controversy, is believed to be stranded in the transit area of Moscow's Sheremetyevo international airport. According to Reuters, WikiLeaks said on Friday that Snowden had applied to approximately 20 countries for protection from U.S. espionage charges, including six on Friday. Maduro said Venezuela was ready to offer him sanctuary, and that the details Snowden had revealed of a U.S. spy program had exposed the nefarious schemes of the U.S. "empire." "He has told the truth, in the spirit of rebellion, about the U.S. spying on the whole world," Maduro said. "Who is the guilty one? A young man ... who denounces war plans, or the U.S. government which launches bombs and arms the terrorist Syrian opposition against the people and legitimate President Bashar al-Assad? "Who is the terrorist? Who is the global delinquent?" Maduro said. 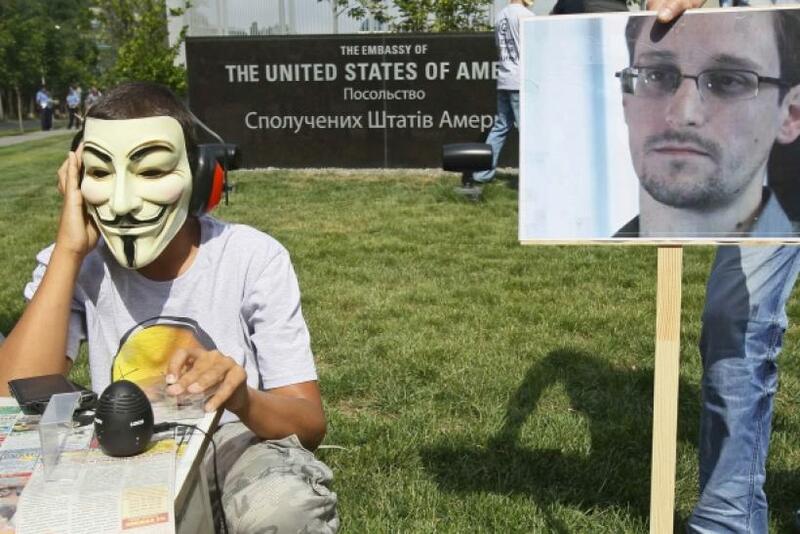 According to Reuters, Russia is getting impatient with Snowden remaining in the Moscow airport. Its deputy foreign minister said on Thursday that Snowden had not sought asylum in that country and needed to choose a place to go.